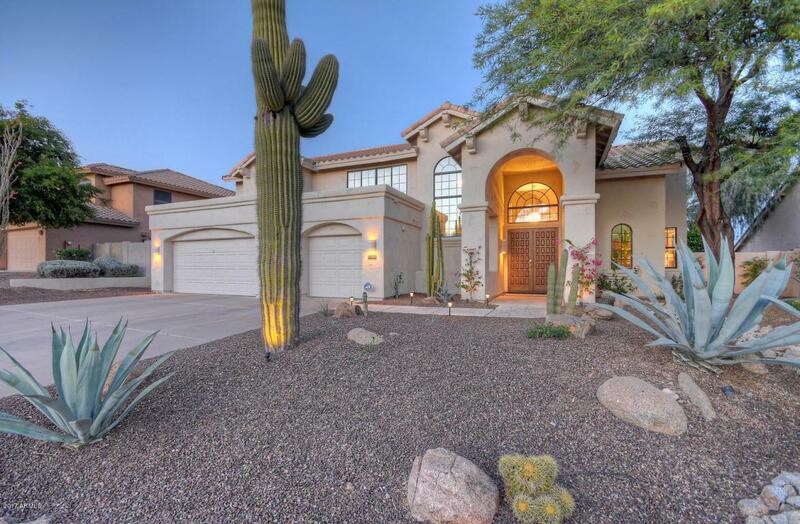 GATED SONORAN LUXURY. 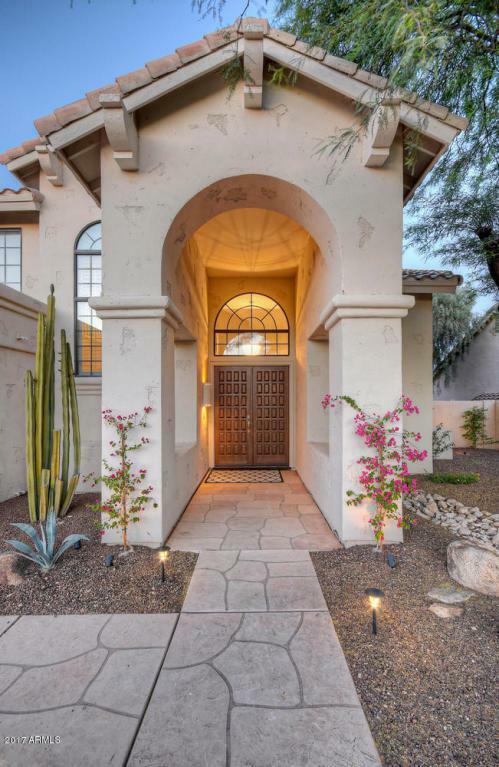 Highly desirable location with open magnificent mountain views. Elegantly updated open plan. 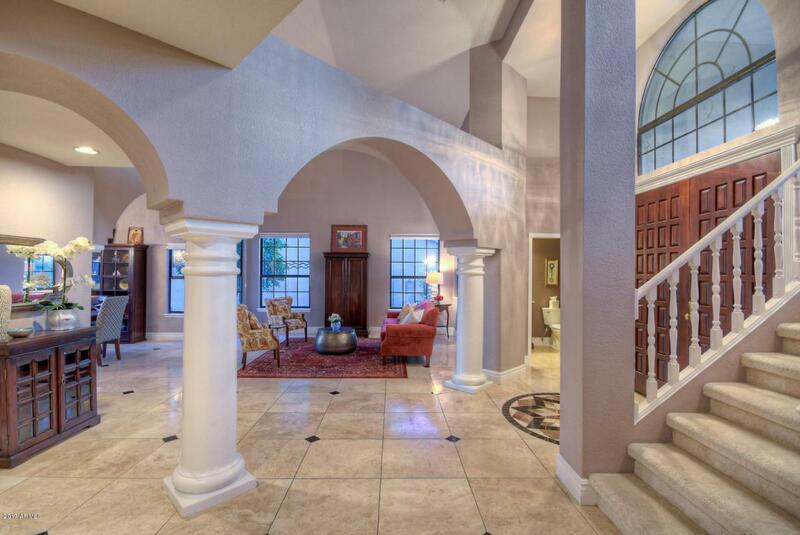 Multiple fireplaces, Roman columns, oversized Travertine floors and custom archways. A culinary delight, the kitchen has two islands, rich cabinetry, slab granite and upscale stainless appliances. 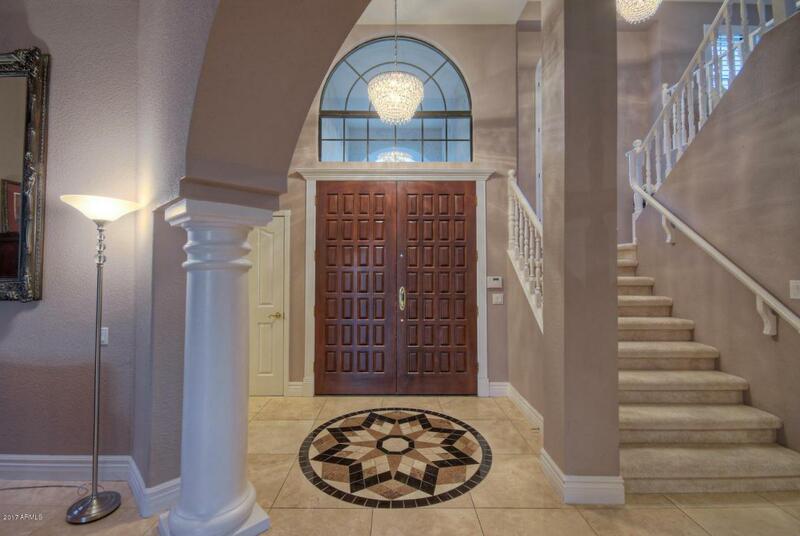 Double doors reveal the spacious master with two updated view decks, his and hers custom walk-in closets and two-way Travertine surround fireplace. Beautifully remodeled baths. Lovely loft. Fresh interior paint, upgraded whole home electrical and tinted windows. Resort backyard. Sparkling pool with newer motor and filter, rewired spa, BBQ and resurfaced pool deck. View fencing. Newer AC, sprinkler system, water softener, thermostats, light fixtures and more. An incredible find! !